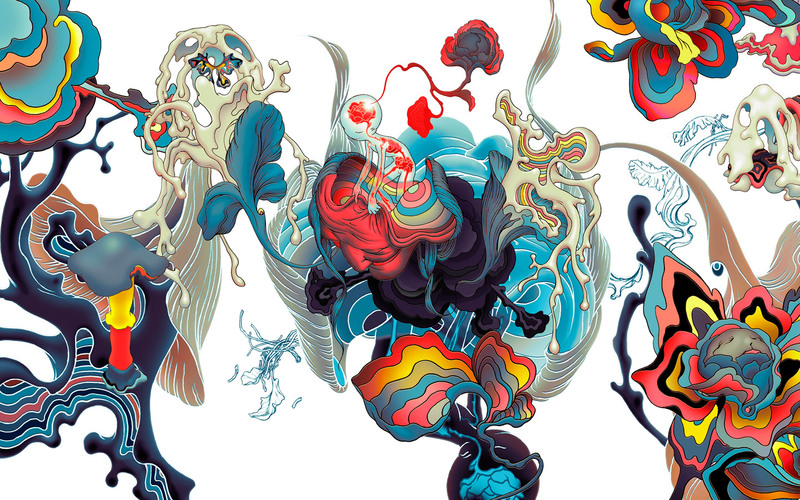 James Jean is a Taiwanese-American visual artist, known for both his commercial and fine art gallery work. He is also known in the American comics industry as a cover artist for various books published by DC Comics, as well as for his work for Prada, ESPN, and Atlantic Records. His work, which has been collected in numerous volumes, has been compared to Maxfield Parrish (known for his distinctive saturated hues and idealized neo-classical imagery). Jean was born in Taiwan and was raised in Parsippany-Troy Hills, New Jersey. He illustrated covers for the comic book series ‘Fables’ and ‘The Umbrella Academy.’ In 2008, Jean retired from illustration and commercial projects to focus on painting. In 2007, Jean created a mural for the Prada Epicenter stores in New York and Los Angeles. He also created a backdrop for Prada’s Spring/Summer 2008 show in Milan. Aspects of the Epicenter mural and the Milan wallpaper were transformed into clothing, handbags, shoes, and packaging. Prada undertook a global campaign that featured Jean’s work in advertising environments, animation, and special events. Jean developed an animated short based on the theme titled ‘Trembled Blossoms,’ taken from the poem ‘Ode to Psyche,’ by John Keats (one of his darker and more experimental odes). In 2010, Jean was commissioned by fashion designer Phillip Lim to paint a series of portraits featuring Los Angeles-based actors, musicians, and tastemakers, including Rachel Bilson, Selma Blair, and Devendra Banhart.